The world of Vampire: The Masquerade is a dark reflection of our own. The shadows loom longer here, and the night is more reluctant to yield to day. Corruption runs rampant, from the government through private corporations and into the various subcultures that revel in these culturally bankrupt times. 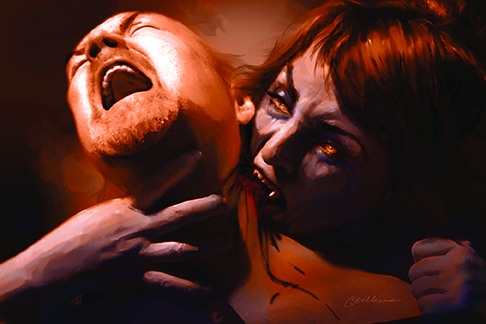 Vampires are an outgrowth of the people who populate this desperate environment. They exist in the World of Darkness because they are the monsters among us, the products of a world so dark that only something truly horrible and captivating can challenge the depths into which the living residents of the world have plunged it. Vampire: The Masquerade exploded into hobby games in 1991 and inspired a generation of fans the likes of which the game industry had never seen before or since. The cultural significance Vampire left on not just the gaming world but on modern vampire-related pop culture can be seen and felt at virtually every turn and in every medium today. Onyx Path Publishing offers a number of role-playing game fiction, art, and clothing products for Vampire: The Masquerade, as well as helping to re-release over a hundred original books through PDF and print-on-demand. 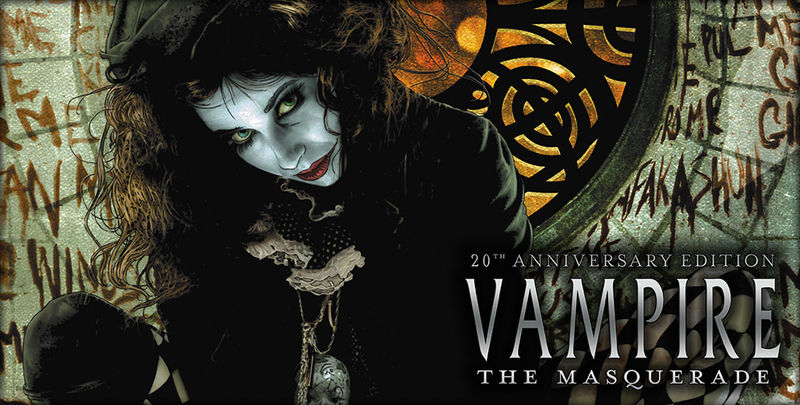 If this sounds interesting to you, head over to our DriveThruRPG storefront to get Vampire: The Masquerade 20th Anniversary Edition or other V20 products. Also available: V20: The Dark Ages and other V20 Dark Ages products, set in the Dark Medieval year of 1242. Vampire merchandise is available via our RedBubble store. Keep an eye out for the Prince’s Gambit social deduction card game!